The same could be said of non-profits and churches that fail to penetrate their communities, reaching only those who already have relationships with them. 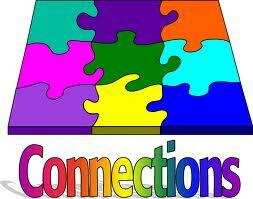 First level connections are first moves that are intended to achieve some goal such as playing baseball with a team, associating with other business people, or finding out about your child’s school and education progress. These connections are worthwhile, but do not necessarily create additional connections. Second level connections are created as a direct result of the first level. So, for example, the local PTO at school (first level) may ask a willing parent to join a regional congress of parents to talk about issues affecting all students in the area. By joining the regional congress, the parent increases the number of people in her/his circle. The result is dramatic. Using Dunbar’s Number, if the regional congress has 25 people in it, this person’s reach has grown to potentially 3750 people. S/he will also be having conversations and making decisions that affect more than just the local school of his/her child. Second level connections are good, but it gets even better when connections move to the third level. The farther out one goes on the connection grid, the more focused and specific the connections become. The larger a person’s group of connections become, the greater the odds that a specific person or group will connect with a specific request. Which brings us to third and fourth level connections. The parent who joined the second level regional school congress meets a school executive (third level) who asks if she/he would consider joining his staff or chairing a committee or going to a conference. If the parent had limited her/his involvement to the local PTO, the third level offer might have never been made. In a networking “law of averages,” the possibilities for meaningful connections increase the farther out one moves on the connection grid. In the original illustration, a new business opens but then closes later from lack of business. If the owner had thought in terms of how to increase connections, there would have been more opportunities to talk about the new business and recruit customers. Fourth level connections have a mind and initiative of their own. These connections are often surprises to their recipient, because they occur when someone in the second or third level of connections knows someone you may not know and passes on a good referral about your services. This does not generally happen at the first level. First level connections are too vague and impersonal. Second and third level connections make possible the deepening of relationships and the creation of good reputations. Fourth level connections are the best because they represent the maturing of connections and the opening up of their full potential. Next Post → I’m the greatest! Interesting thoughts Bruce. Thanks for giving me something to chew on. Sounds like the real work is at the second and third levels, where you are being observed and assessed, even if subconsciously, on the basis of all factors that are open to public scrutiny. If all goes well at those levels, then the fourth level has a chance to kick in. Exactly. It requires intentionality and an others-centeredness.